← La résistance pour tous! Through the reading of this book we meet a young woman in confrontation with her compulsive habit of binge eating and how she recovered. This autobiography was written by Kathryn Hansen and is an amazing alternative support to anyone who wants to get through their destructive binge eating disorder by themselves. 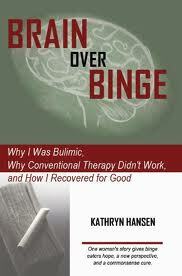 Kathryn Hansen was a bulimic with serious periods of binge eating over six years. During this time she worked with severals physicians such as dietitians, psychotherapists and eating disorder specialists to get rid of her problem. During these years she was in a state of resignation but with a pinch of hope, and she made a promise to write about her journey if one day she healed. And so after completely recovering from binge eating, thanks to the Rational Recovery book from Jack Trimpey, she took to the typing machine to spread her experience. An episode of Binge eating is characterized by eating a large quantity of food during a very short period of time (less than 2 hours). Binge eating disorder (BED) is considered as a disorder usually triggered by emotions and then set by habit. It is actually very close to any addiction. An addiction is an uncontrolled repeated behavior for which no consideration to adverse consequences is given. This behavior could be translated through the consumption of a substance (drugs, alcohol, foods…) or an action (OCD : obsessive compulsive disorder). Kathryn Hansen guides us towards two books which both talk about an easy and definitive way to “heal” an addiction. 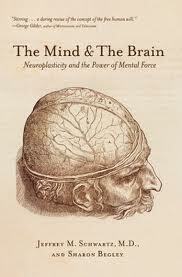 Indeed, both Jack Trimpey with alcoholic and Jeffrey Schwartz with OCD patients are convinced that by the separation of the human brain (higher brain, mind, conscious) from the animal brain (lower brain, brain) one is able to heal oneself from any self destructive behavior. Just by applying a state of contemplation and letting go of everything, a concept very close to the Zen Buddhism philosophy, one can end the voices of his demons. Why wouldn’t healing firstly the emotions triggering the compulsion work for many addicts ? Because the destructive behavior (addiction) is the problem at that stage, not the frustration for which the addiction will cope for. One should annihilate the habit that has been set because of that first frustration and not the other way around. Of course, the deep emotion is the trigger but the habit to cope with this frustration with a definite and unalterable same behavior is way stronger and difficult to break. So the main target is to focus on what the emotion will be coped with. Most of binge eaters will surely have better results with contemplation and meditation exercises than inside a psychiatrist’s office telling them their deep secrets and former infancy traumas. At a more scientific level, but still very simple and easy to understand, Jeffrey Schwartz’s study on OCD patients has been very important to understand what is happening inside the brain and the mind of an addicted individual. Indeed, addicts have an hyperactive orbital frontal cortex (normally functioning as an error detector). When the orbital frontal cortex is firing, something is needed to be done in order to quiet it down by bringing expectations and reality back in harmony. So it makes sense that if a binge eater feels an urge to eat, his psychological response for quieting the firing orbital frontal cortex is going to eat something. So if addicts could experience their urges without reacting emotionally to the discomfort it caused, they could realise that it is actually no more than the manifestation of a brain wiring defect. The more this practice is applied, the more it becomes a habit and the weaker the urge will become. The best way to experience an urge without acting on it, is to apply mindfulness. What were my feelings during the reading of the book ? Being a compulsive eater myself I had a deep feeling through the first paragraphs. I even cried of joy after realizing that I wasn’t alone and that I should not be ashamed of a destructive habit against which I have no tools or means of control. However, I wouldn’t say that it is a magic antidote or spell, it is a rough path to finally find how to let go and just remain passive against the animal brain which tries to provide you with whatever excuses to push you to binge. You will ask: “But what is the link between a healthy lifestyle and binge eating disorder ? It is just the opposite.” But, in fact, there is a big link. The animal brain will react to any dieting or fasting you will attempt, in a way to compensate the nutritional deficiency. So binge eating is a healthy response from your body to prevent you from starvation. Indeed, when we were hunter-gatherers or when we didn’t have all the food all the time as we have now, their were periods of starvation and when we had a good hunting, the body gave the signal to eat as much as possible to create stocks for the next starvation and we can also find the same principle in the animal reign. So, as we can see the animal brain is not evil, it just has not adapted to our current way of living… or maybe it is our current way of living which is wrong… Compare an occidental individual from our modern life who attempts a diet and the hunter-gatherer who is inside a period of starvation. The first one has all the food he wants in order to cope with his hunger (and most of the time, he will go for extremely unhealthy, over-sweetened and fa(s)t food) but the second has no resources to fill his body with nutrients. So, yes something is definitely wrong. We should adapt our animal brain and give ourselves time to listen to it without reacting. So next time you are thinking about attempting a drastic diet, think twice. You may just need to adapt your lifestyle and eating habits. This entry was posted in Articles in English, Product review, Testimony, Uncategorized and tagged addiction, Alcoholism, BED, binge eating, book review, brain over binge, Jack Trimpey, Jeffrey Schwartz, Kathryn Hansen, OCD, Rational Recovery, The Mind and The Brain. Bookmark the permalink.